Camping out under the stars is a wonderful experience, but if your night vision isn’t quite up to scratch, you’ll need a good torch to help you see clearly in the dark. While a simple hardware store torch is sufficient for your home life, when you’re out on a camping trip, you’ll want something a bit more rugged and a bit more powerful. We’ve investigated and reviewed some of the best camping torches on the market and put the top competitors head-to-head in this buying guide. In these reviews, we’ve also identified a top pick and a value pick to help you decide which torch is right for you. 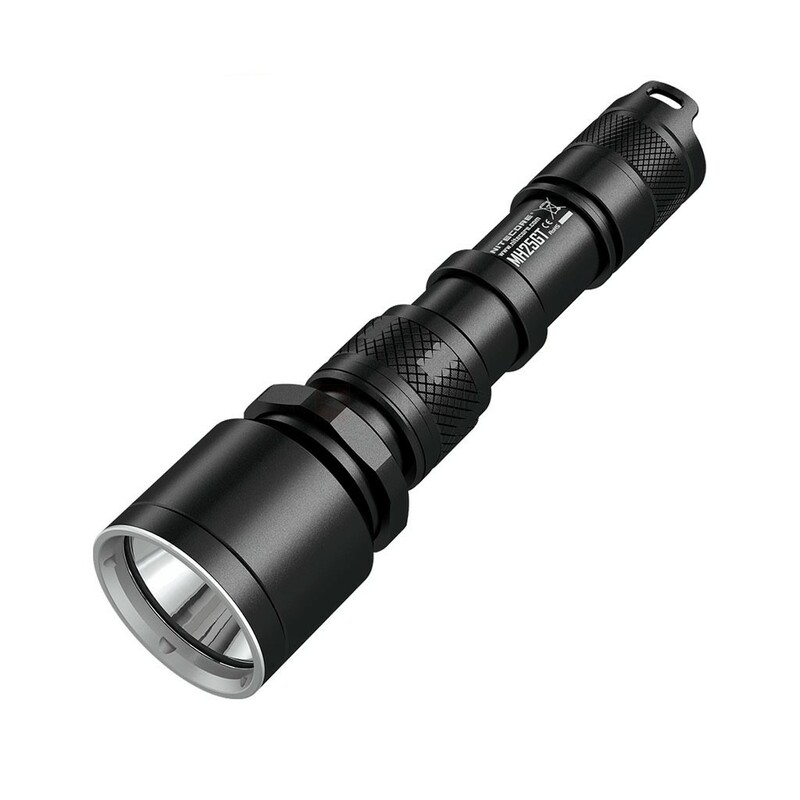 Coming out on top is the Nitecore MH25GT, an incredibly powerful and versatile torch that can handle anything you throw at it. The value pick award goes to the Lenser L7 for its affordable, durable, and waterproof design. Battery type: These days, torches use a variety of different batteries, from the standard AA to a rechargeable lithium ion. If you’ll be away from a charging source for extended periods of time, you might opt for a torch capable of using disposable batteries. But, if you’re more likely to stay near a charging source, rechargeable batteries reduce your need to regularly buy and dispose of batteries, so they might be a better option. Maximum Run Time: The only thing as bad as forgetting your torch is running out of batteries when you need it most. The torches in this review have maximum run times between 11 and 55 hours, so you won’t have to worry about your light going dark. Beam distance: Not all torches are made equally in this department. While some torches have impressive beam distances of over 450m, others won’t even let you see the back of your hand. Keep beam distance in mind if you’re particularly keen on night hiking as a longer range will make it easier to walk at night. Lumens: A lumen is a measurement of the amount of light emitted from a device. Essentially, a high lumen count means more light while a low lumen count means you might be left in the dark. But, if you just need a torch to help with your bedtime reading, you can save money on a low lumens torch that will be more than sufficient for your needs. Nightcore really pulled out all the stops with this torch. 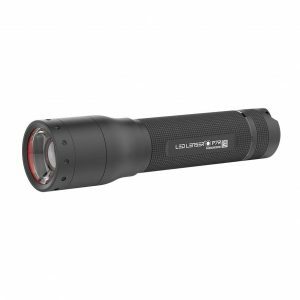 Built with an impressive 1000 lumens and an insane 450m beam distance, this is one powerful torch. The MH25GT can run for a solid 36 hours on either a rechargeable lithium-ion battery or two disposable lithium cells, so you can adapt the torch to meet your needs. Waterproof up to 2m and with a stainless steel bezel to protect the interior components from damage, this torch is meant to take a beating. 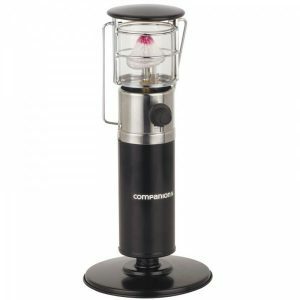 A toughened ultra-clear mineral glass bulb cover with a protective coating and an anti-roll design round out this torch’s set of fantastic features. The Nightcore MH25GT really is the ultimate handheld torch on the market and our top pick. Perfect for outdoor enthusiasts and survivalists alike, this is a torch that just won’t let you down. 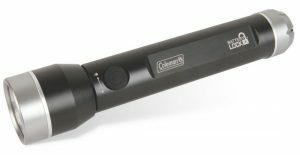 Built with a 1000 lumen capacity and a 40-hour run time on a rechargeable battery, the LED Lenser P7R is a fantastic handheld torch for camping. The P7R uses Lenser’s proprietary Smart Light Technology, which optimises light output at either a low, medium or high setting, so you can get the exact amount of light you need from your torch. If that wasn’t good enough, Lenser’s Advanced Focus System even allows you to choose between a focused beam for long-distance use a split beam that disperses light for up-close reading. With a 5-year warranty and a maximum 210m range, this is a great all-around torch for both casual and experienced campers. The high price tag might be shocking to some, but with all these great features, it’s certainly worth it. Although it’s the smallest torch in this review, the Lenser L7 Handheld brings some serious light. The value pick in our review, the L7 combines durability and intelligent design with an affordable price. 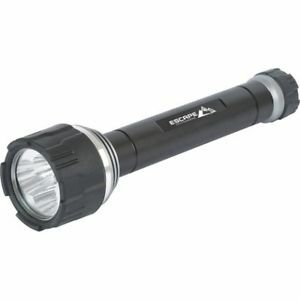 The torch runs on AAA batteries and gets an impressive 42 hour run time for its 115-lumen output. While this may seem low compared to other torches, it still manages a 225m beam distance, so it’s clear that the L7’s lumen count isn’t holding it back. 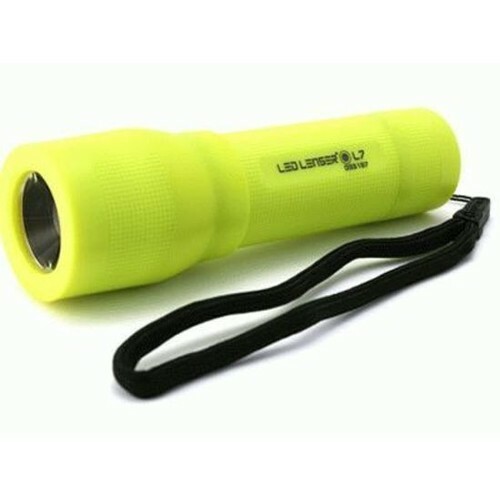 The bright yellow colour on this little torch makes it super easy to find and the light-weight waterproof body means it’s durable enough for all life’s adventures. Lenser built the L7 with same advanced focus system in the P7R, so this torch is such a versatile device, there’s really no reason not to bring it on your next adventure! This Escape Outdoors torch packs a similar amount of strength as this review’s top pick at a fraction of the price. With a 900-lumen light output and a 300 meter beam distance, this is one bright torch that’ll make night hikes and activities a breeze. With three light modes (high, low, and strobe) and impact-resistant and shock-absorbent rubber ends, this torch is prepared for anything. Our biggest concern is that the three D batteries in this torch only last about 11 hours, which is really not much compared to some of the 40-50 hour outputs we’ve seen so far. But, at such a great price, this simple design is a great deal. If you’re looking for a clean-cut, classic, yet powerful torch, this option from Escape Outdoors is a sure bet. A true value buy, the Coleman Battery Lock Torch gives you incredible bang for your buck. One of the most affordable torches in our review, this option from Coleman combines a sure and sharp 200 lumens with a 55 hour run time and a 200m beam distance for great all-around performance. This torch runs on six AA batteries and uses Coleman’s proprietary battery lock system. This system stops battery drain to preserve battery life and reduce corrosion, which is great news for the longevity of the torch. Our biggest concern is that six batteries is an awfully high number for such a small torch. It also means that the torch weighs a bit more than the others in this review. The Coleman Battery Lock Torch also doesn’t come with any of the fancy features that we’ve seen so far, but if you value simplicity and affordability over the latest technology, this torch is a great buy.